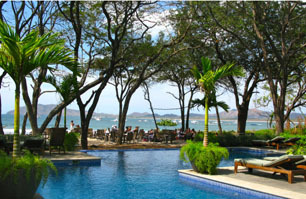 Playa Tamarindo is located at the Pacific Ocean on the northwest coast. Playa Tamarindo and the surrounding beaches are home to some of the best surfing and surf instruction in the world. Paddle boarding, ocean kayaking, and boogie-boarding are just steps away from your front door at Casa de Valencia. Do you like sport fishing or scuba diving? The marina in Playa Tamarindo offers all kinds of watersports. Playa Grande is also one of the few nesting beaches in the world of the huge leatherback turtle. If you like nature and/or hiking, Rincon de la Vieja volcanic national park is less than 2 hours away and offers rafting/tubing, waterfall tours hot springs, mud baths and more. The closest canopy tour is 40 minutes away. If spa treatments are more your speed, Tamarindo offers many local spas and the famous Los Altos de Eros is less than 30 minutes away. Or, if you only want to discover beach after beach after beach? 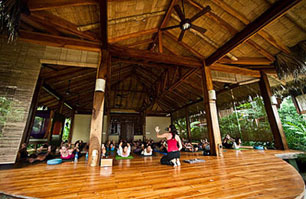 Casa Valencia is an ideal spot to discover Costa Rica and all its beauty it has to offer. Tamarindo Bay has become a mecca for world class surfers and blue water sport fishermen. Our sport fishing fleet of talented and conservation oriented captains are the pioneers of the Pacific coast. Their record catches of marlin, sailfish, roosterfish, giant tuna and other species have become legendary. 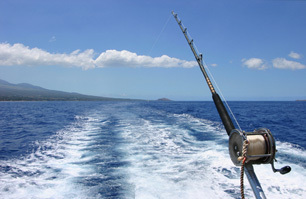 Whether you want deep bluewater fishing, or reef or shoreline fishing, our fleet can accommodate you. Surf casting and handlining in front of your hotel for snook and jack are also popular. Any way you do it you can be sure to have your fresh catch cooked up for you at one of the friendly beachfront restaurants. Warm water surfing is enjoyed year-round and families find this area offers opportunities for surfers of all skill levels to enjoy the great waves that bless this part of the coast. Tamarindo was the first stop on an epic worldwide surf journey in the popular movie Endless Summer 2. 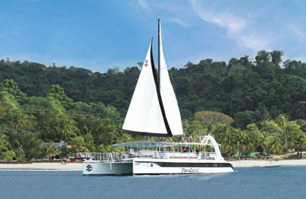 Visitors also have access to SCUBA diving, snorkeling trips, beach cruises, catamarans, ocean and river kayaking, wind surfing, sailing cruises and horseback riding. Bicycles, beach gear, surfboards, boogie boards and equipment of all types are available for rental from specialty stores. Tamarindo is the driest area in Costa Rica. It is spectacular in beauty—a small town atmosphere with everything at your doorstep and something for everyone. 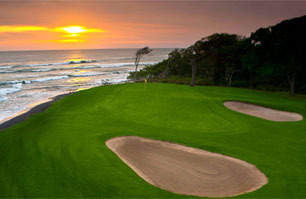 - If you want Golf, there are 18 hole championship courses. - If you prefer to Fish, there is world class fishing. - For Surfers—this is a premier surfing destination. - There is Horsebackriding, Wildlife, Monkeys on your doorstep, Canopy and active Volcanoes. - If you want to visit the Rain Forest—its nearby. - If beaching is your pleasure—there's beach after beach of pristine tropical beauty. - If you prefer retail therapy, small shopping boutiques and food markets are walking distance from the condo. - Restaurants and nightlife—there are numerous excellent restaurants, a few discos and music outlets. Tamarindo Beach, Guanacaste is the most accessible location along the northern Pacific coast of Costa Rica, with an airstrip serviced 7 days a week from San José by two airlines: SANSA, the national airline, and Natureair, a private regular schedule airline. Private charter services are available as well. Scheduled daily bus service to and from San José, as well as surrounding communities, is available by a variety of companies. There is also a paved highway from San José for those who wish to rent a car and drive the countryside (4-5 hrs. to Tamarindo). It is also very affordable to hire a private driver and passenger van in Costa Rica. The new international airport in Liberia, Guanacaste is now open to international arrivals, with easy connections from the US. Direct flights from Dallas, Houston, or Miami are just over three hours flight time. The airport is a 45 minute drive from Tamarindo.